Justin Young is a screenwriter, playwright and producer. 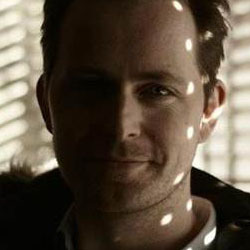 He’s written for a variety of drama series including Ripper Street, Dickensian and Death in Paradise, as well as developing his own original pilots with a wide range of independent production companies. He was Head Writer and Series Producer of Holby City for 3 years, during which the show was BAFTA nominated twice. His plays include In My Father’s Words (59E59 Theatre New York), Moonwalking in Chinatown (Soho Theatre), and Fierce – An Urban Myth (Grid Iron). He is currently Series Consultant and writing 3 episodes for the upcoming Jane Austen adaptation Sandition for Red Planet/ ITV.